GUILTY IST BESSER ABER GUT! wo ist aber das Album All Rise gebliben !?!? ich liebe überhaubt alles,was mit blue zu tun hat! Eher mieses Album ... das beste Stück davon heißt "U Make ..."
Gut, aber die einen Songs sind einfach zu billig..
3. U Make Me Wanna. Great album and fresh great tracks. 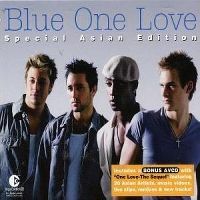 Still listen to Blue to this day very unique boyband. The album produced one UK#1 single. The album went 4x Platinum in the UK. 2nd UK top ten album. 30 weeks in the UK top 100. 117,500 sold while at #1. Their second UK#1 album. 10 weeks UK top 10. UK#1 (1 week). 2 weeks Japanese top 10. Japan#9. World Chart Year End (2002): #47. World Chart Year End (2003): #98. 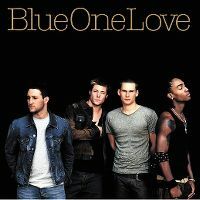 The biggest selling boyband album of 2002 in the UK. Year end (UK): #5 (02), #68 (03). It's a half decent effort but pales significantly in comparison to their first effort. The singles here were above average, with SSTBTHW being my favourite of the three, but all up it was just hard to feel anything on here. They seemed to be trying hard to be cool, when it seemed a bit more effortless on All Rise. The two end tracks are nice listens and probably bring the album up as a whole, but all up, it's a bit of a disappointment. An even 3.0/6.